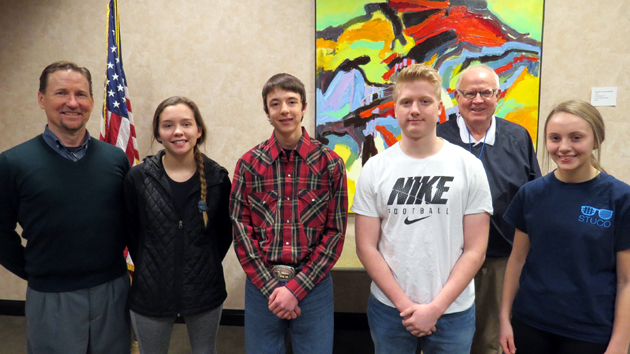 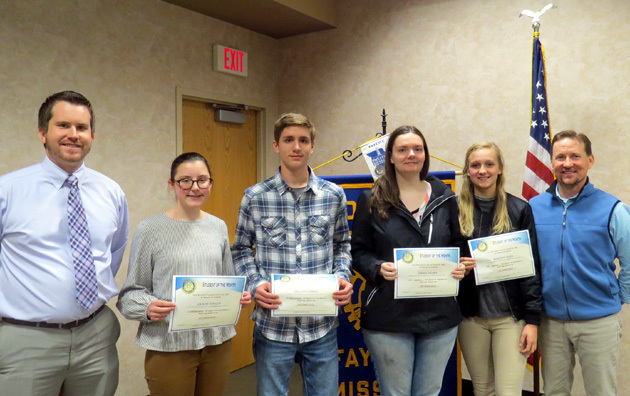 Each month during the school year for over 30 years the Fayette Rotary Club has welcomed “Fayette High School Students of the Month” to one of its meetings. 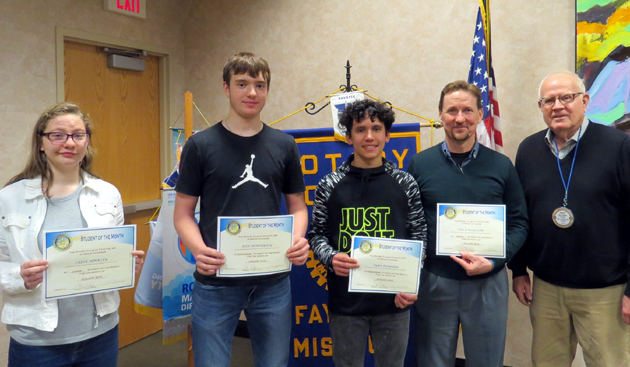 The purpose of the Student of the Month program is to acknowledge students, who have made some type of positive accomplishment, received some type of award or who have distinguished themselves in some positive manner. 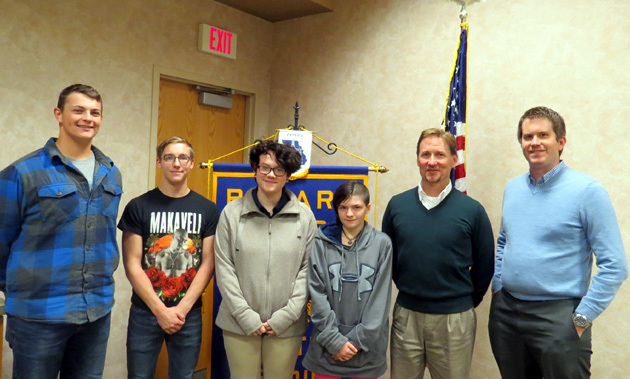 Students attend the meeting with a member of the high school faculty. 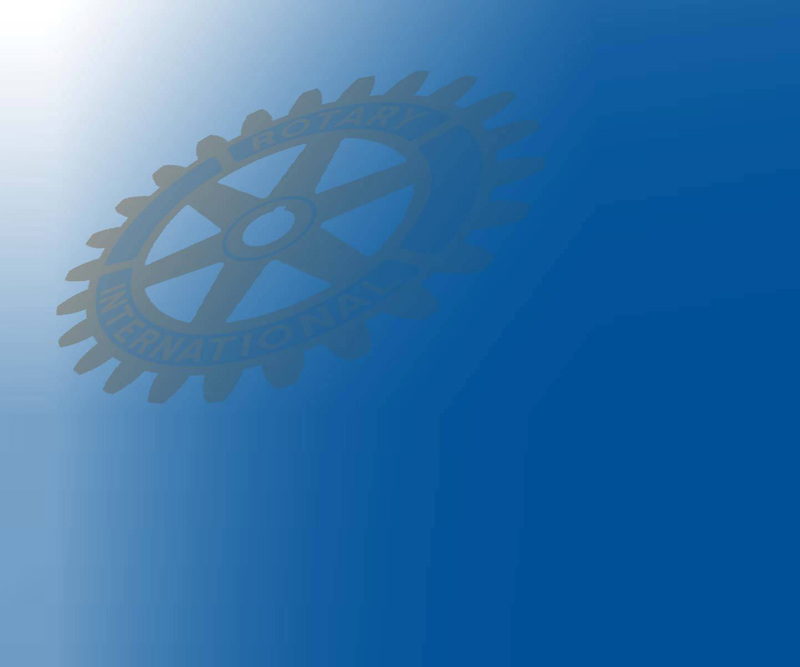 Each student is introduced by the faculty member, who tells something about the reason the student has received the honor. 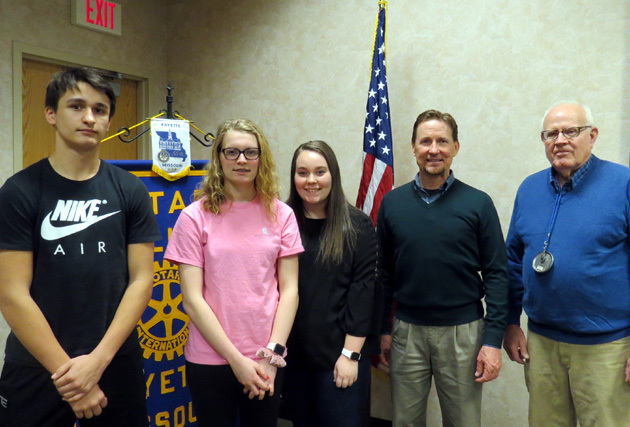 The students are then asked to tell the Rotary Club a little about themselves. 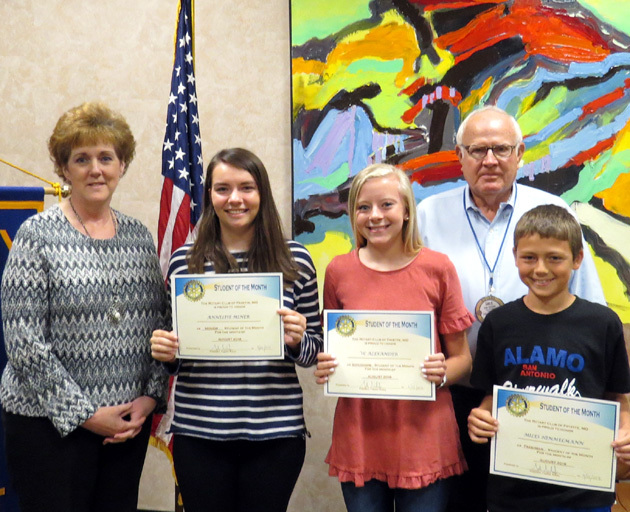 The students are chosen by the Student of the Month committee, which consists of both high school students and high school faculty.